TOEFL - Test of English as a Foreign Language is a standardized English proficiency test that assesses English Language skills in the areas of Reading, Listening, Speaking and Writing. Candidates who wish to pursue further studies at an undergraduate or graduate level are required to take TOEFL to demonstrate their English proficiency. One can register for the TOEFL via telephone, online, post or fax. These scores are valid for 2 years. The TOEFL IBT is an internet based test, that measures Reading, Listening, Speaking and Writing abilities; while the TOEFL PBT is a paper based test and measures Reading, Listening, Grammar and Writing skills. The TOEFL PBT is offered in locations where internet testing is not available. The total TOEFL is scored out of 120 and provides scoring in each of the four sections- Reading, Listening, Writing and Speaking. Does the entire test happen on one day? Will I have breaks during the tests? There is a 10 minute break after the Reading and Listening section. Test takers will be allowed to use the rest room at any given time during the exam, however the test will still be in process even if you aren't at your seat. The TOEFL iBT test is on fixed dates, and is offered more than 30-40 times a year. Is there anything I need to know before registering for the exam? 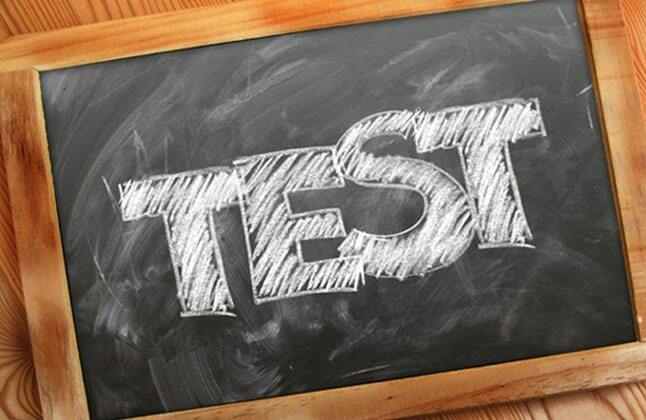 Before registering for the test, you will need to decide your test centre location and when you would like to give the test. What happens if I enter my name incorrect? Can I get a refund on my test fees? Yes. If you cancel your registration no later than 4 days before your test date, you can receive a refund of half your original test fee. However, those taking the test in Korea, will need to check the specifics on the refund policy. Will I be given headphones during the speaking section? Yes, candidates will be provided with noise cancellation headphones, that comes with a microphone for the speaking section. You will need to carry along a valid ID proof which clearly shows your name, photograph and signature. Ensure that the ID you carry along matches the name you used when registering for the test. Your score report includes scores for each of the test sections, a total score and performance feedback about your score level. You can order additional score reports once your scores are available online. The fee for each additional score report is US$19. What if there is a problem with my score report? You can contact ETS via email or telephone for any queries on the same. The contact information is provided on the ETS website. "Edwise has been my guide, counselor and pillar of support throughout my TOEFL preparation. The techniques taught helped me score good. It's not just the techniques that make it all worth it. It is the encouragement given by the faculties and their desire and drive to help you at all times that adds to the value of the program"